Non-gardeners may look at us in wonder, but we know an opportunity to see a big garden show is worth an early start. And that is what four of us did last Saturday morning—we headed out in the Lethbridge wind to attend the Calgary Horticultural Society garden show. This two-day event, held at Spruce Meadows, included exhibits from nearly 100 companies and organization, including our own Galt Museum and Archives. It is impossible to resist the purchase of at least one little plant or bulb, and the acquisition of ideas and info from the knowledgeable people who man the booths. We also attended the talk on growing peonies which gave detailed advice on the plants, and how to get the best from them. Of course no outing is complete without a visit to at least one garden. Reader Rock Garden was our choice. Despite the early date (April 11) the hepatica was in glorious bloom. 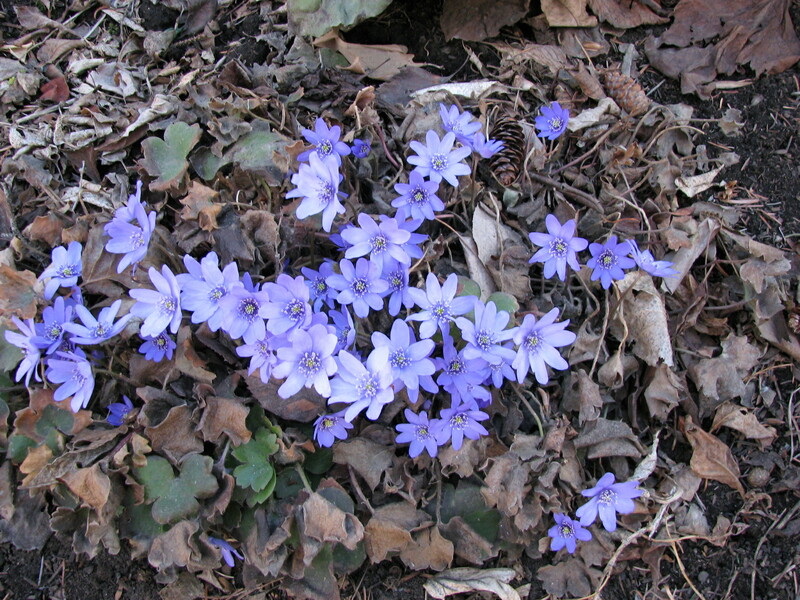 In that garden hepatica grows on the hillside, but any “woodland garden” site would make a happy home. Lucky the people who live nearby because in a week or two the hillsides will be covered with the blossoms of spring bulbs. (Mostly Siberian squill, we think.) The Reader Rock Garden is an inspiration. The conclusion: It was a great trip. We loved all the gardening products, plants and talk.